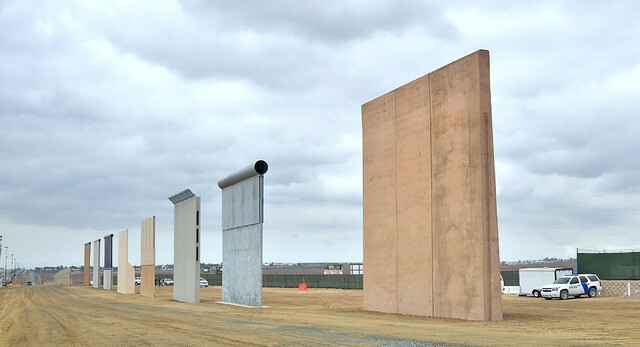 Así que votaron para construir un muro... pues bien, mis queridos norteamericanos, aunque ustedes no entienden mucho de geografía, ya que para ustedes América es su país y no un continente, es importante que antes de poner los primeros ladrillos, se enteren de lo que están dejando fuera de ese muro. Afuera hay 7 mil billones de personas; pero como a ustedes tampoco les suena mucho eso de personas, los llamaremos consumidores. Hay 7 billones de consumidores dispuestos a reemplazar el iPhone por el Samsung o el Huawei en menos de 42 horas. Además pueden reemplazar el Levi 's por Zara o Massimo Duti. 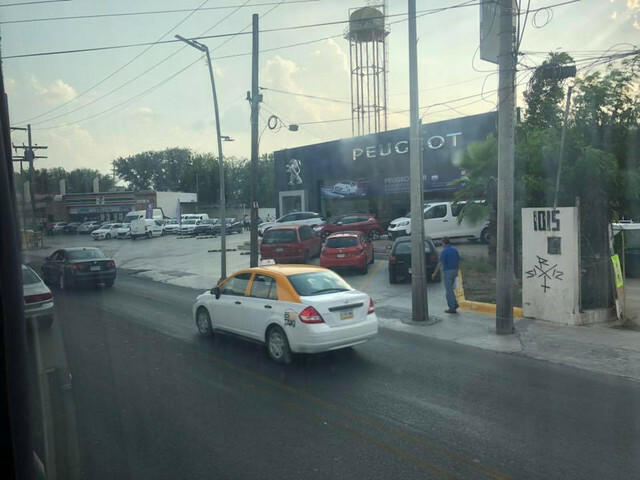 Tranquilamente, en menos de medio año, podemos dejar de comprar vehículos Ford o Chevrolet y reemplazarlos por un Toyota, KIA, Mazda, Honda, Hyundai, Volvo, Subaru, Renault o BMW, que técnicamente superan por mucho a los autos que ustedes producen. Esos 7 billones también podemos dejar de suscribirnos a Direct TV y no nos gustaría, pero podemos dejar de ver películas de Hollywood y empezar a ver más producciones latinoamericanas o europeas que tienen superior calidad, mensaje, técnicas cinematográficas y contenido. Aunque les parezca increíble, podemos dejar de ir a Disney y acudir al parque Xcaret en Cancún, México, a Canadá o a Europa: hay otros excelentes destinos en Suramérica, el Oriente y Europa. 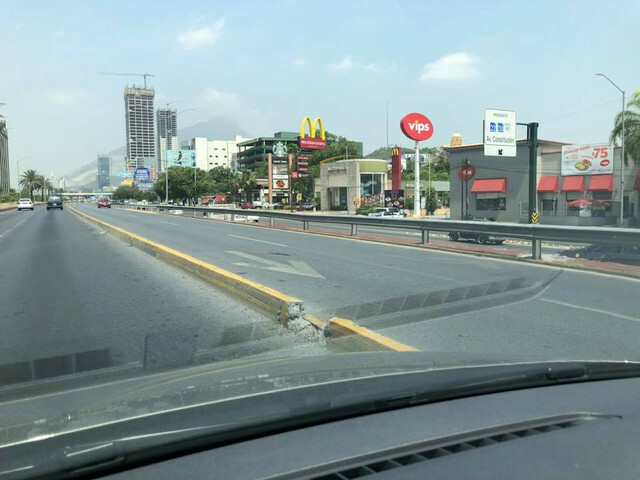 Y aunque no lo crean, incluso en México hay hamburguesas mejores que las de McDonalds y con un mejor contenido nutricional. Dejar de Importar Carne y Consumir la que nosotros producimos y de una calidad que es similar y algunas veces es mejor depende de zona. Ninguna está en Estados Unidos... ¡que pena para Trump, pues, la hubiera comprado y revendido! Por favor, compartelo al menos entre 12 personas. Si no lo haces, no pasará nada; solamente muchas personas no se enterarán de estas realidades. So they voted to build a wall ... well, my dear Americans, although you do not understand a lot of geography, since for you America is your country and not a continent, it is important that before you put the first bricks, you will find out of what they are leaving outside that wall. Outside there are 7 billion people; but as you also do not sound that much about people, we will call them consumers. There are 7 billion consumers willing to replace the iPhone with the Samsung or the Huawei in less than 42 hours. They can also replace the Levi's by Zara or Massimo Duti. Quietly, in less than half a year, we can stop buying Ford or Chevrolet vehicles and replace them with a Toyota, KIA, Mazda, Honda, Hyundai, Volvo, Subaru, Renault or BMW, which technically far surpass the cars you produce. Those 7 billion we can also stop subscribing to Direct TV and we would not like it, but we can stop watching Hollywood movies and start seeing more Latin American or European productions that have superior quality, message, cinematographic techniques and content. Although it may seem incredible, we can stop going to Disney and go to the Xcaret park in Cancun, Mexico, Canada or Europe: there are other excellent destinations in South America, the East and Europe. 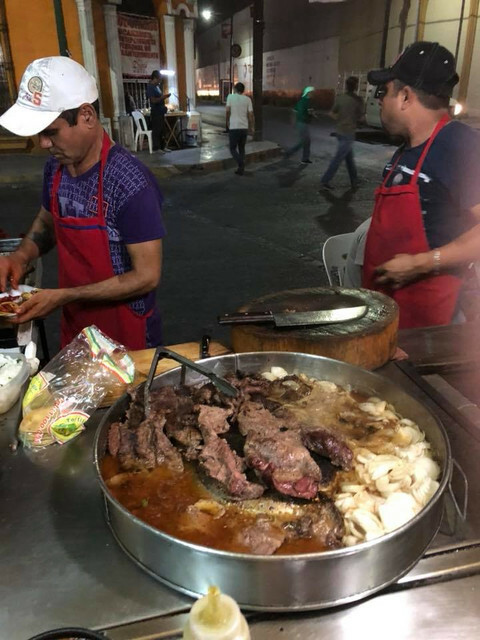 And believe it or not, even in Mexico there are hamburgers better than McDonalds and with a better nutritional content. Stop Importing Meat and Consuming the one we produce and of a quality that is similar and sometimes better depends on the area. None is in the United States ... what a pity for Trump, then, he would have bought and resold it! We know that Adidas exists and not only Nike and we can well start to consume Mexican tennis like the Panam. We know much more than you think; We know, for example, that if those 7 billion consumers do not buy their products, there will be unemployment and their economy (within the racist wall) will collapse to the point that they will beg us to tear down the fateful wall. Please share it with at least 12 people. If you do not do it, nothing will happen; only many people will not know about these realities. I might buy one for my Canadian number..
Only the gap between your ears.. as evidenced by your posts. What they replace Mexican weed, meth and heroin with? Purchase the wall at Ikea...it's all do-it-yourself. Then give all of the balsa wood and allen keys to the people receiving government welfare checks and tell them all to get busy. I don't know but by the look of Hoof Heatered's post, I'd say he's been ingesting to much of the stuff. The major flaw in his logic is the effect that would have on comparative pricing. If the whole world tried to stop buying US products and services, the relative value of the USD would plummet. As a result, US products and services would becomes more attractive to budget-conscious foreign consumers while US consumers just couldn't afford to buy imports. Result? The world's poor who can't afford to participate in such a boycott would all shift to buying American if they weren't doing so already and US consumers who used to spend abroad would now just buy American. The best the boycotters could hope for is a shift in markets. Is that email even closely to being real, making it look like all the illegals are coming for a shopping trip and returning home. They are just misunderstood and would like the convenience of crossing anywhere for a better shopping experience. From my interpretation anyway Lol. I was hoping they went with the solar panel fence, even if it would have been bullet ridden within a month. Last edited by Twin_Moose; Jan 22nd, 2019 at 06:42 PM..
. . . . and you display yours between my posts. Do you have some sort of point you are trying to make as you seem to have stopped in mid thought, . . . . again? 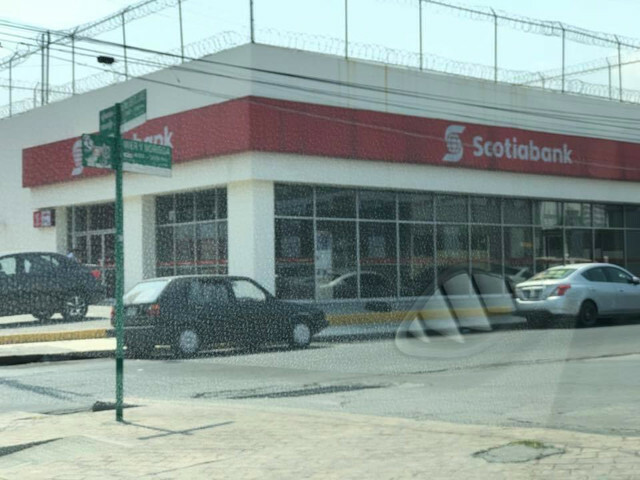 Weve moved our digital work from USA to Mexico just in case. Yes, I put them in all the time myself...so people like boomer can take breaths while they are reading to themselves. 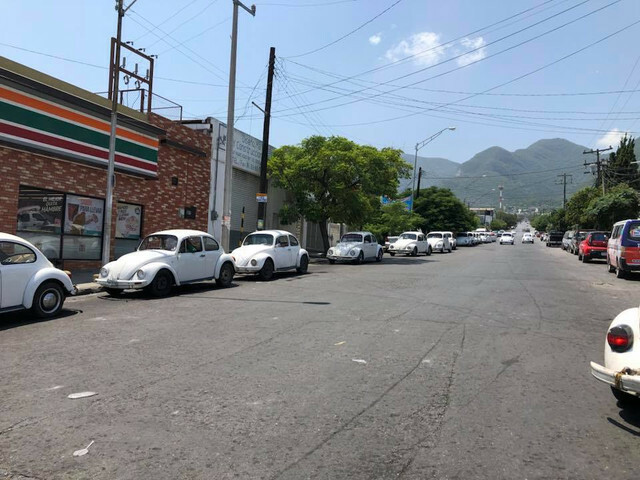 Last edited by Danbones; Jan 23rd, 2019 at 07:25 AM..
More evidence that Danbones and MHz are the same poster..
Have you ever been to Mexico?? If you're not a fan of Ford, Chevy or Chrysler... you can always buy a Peugeot, Renault or one of the several other brands not available in Canada. 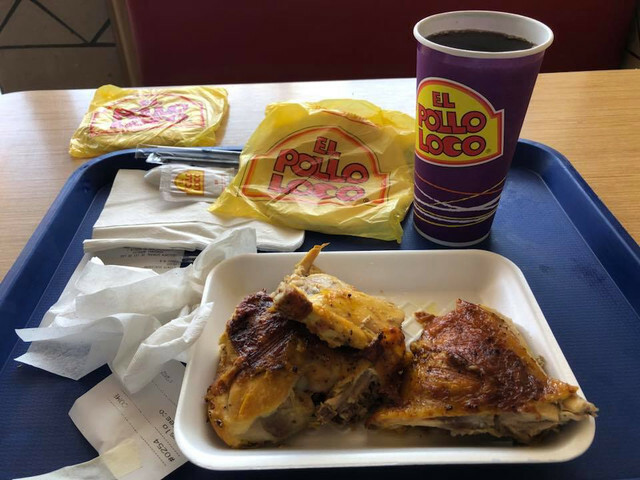 If you're hungry you can alway get a bit at McDonalds, El Pollo Loco or just a local Taco stand. The point I am trying to say is Twin_Moose, Mexico has a buying power of 80 Million plus people. Bigger than Canada's. They have every American Chain from Walmart, Auto Zone, Lowes, oh yeah and Target as well as Canadian (Scotia Bank, Royal Bank and more) and European chains that we don't even have in Canada. I have a condo in Monterrey, Mexico and I love that city.. when I retire.. you will find me here. The weather is better and guess what they have Socialized Medical Care too. same as Canada. But there's is a little more advanced that Canada's.. They have government hospitals that are free.. then there are Private or Public for those who can afford it. Like the UK.. Better than Canada's system if you ask me..
Last edited by B00Mer; Jan 23rd, 2019 at 09:19 AM..
Nope never been don't feel like going either, has nothing to do with a wall for illegals neither, legal port of entry improvement is all that is needed. 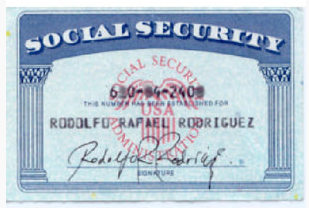 Here is a fake Social Security Card.. now the guy can work, because it's using a Social Security Number that belongs to another person. So it is easy to get around the system and get a job illegally. 2. Enforce the E-Verify, if you don't swipe the new card, huge fines and jail time for employers. 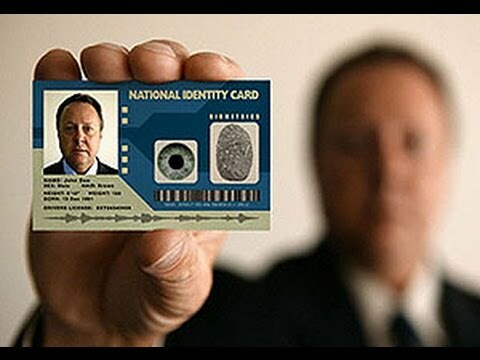 Now that people can't work illegal with the Real ID so easily, folks will stop coming.. but so long as you can buy fake ID and start work the next day.. there will be a draw toi come work in the USA. I don't see that as making much difference in the low end jobs. most of them will still pay cash for day work. The majority of illegal jobs are in fast food, construction, and service jobs.. Even the day job as you claim, picking apples in Yakima, WA require a Social Security Number. Your x-wife's brothers catch up to you yet? Obviously not, shame really. Way to go with that logic!!!!!!!!!!!!!!!!!!!!!!!!!!!!!!!!!!!!!!!!!!!!! !!!!!!!!!!! It is probably one reason why Our idiot Boy Justin wants to kill the Cdn oil patch and ruin us with MAD DEFICITS!!!!!!!!!!!!!!!!!!!!!!!!!!!! He wants the Cdn dollar to drop back to 63 cents Chretien!!!!!!!!!!!!!!!!!!!!!!!!!!!!!!!!!!!!!!!!!! ! A 63 cent Cdn dollar WILL make it easier to sell Cdn stuff abroad - but Our idiot Boy does not realize how much food and clothing we IMPORT!!!!!!!!!!!!!!!!!!!!!!!!!!!!!!!!!!!!!!! And nobody has tols Our idiot Boy that we must pay off MOST of our national debts in Yankee dollars so dropping the Cdn dollar to 63 cents U.S. IS GOING TO HURT!!!!!!!!!!!!!!!!!!!!!!!!!!!!!!!!!!!!!!!!!!!!!! !!!!!! But that is what happens when you elect a GOOF who thinks budgets balance themselves!!!!!!!!!!!!!!!!!!!!!!!!!!!!!!!!!!!!!!!! Our idiot Boy has his view of reality BLOCKED by all that cash in his trust fund!!!!!!!!!!!!!!!!!!!!!!!!!!!!!!!! I don't see the IDF paying their trolls in cash really. Somebody should tell him there are no Jews sneaking into United States from Mexico!!!!!!!!!!!!!!!!!!!!!!!!!!!!!!!!!!!!!!!!!!!! ! In a most awkward type of backward logic, people confined to institutions are compelled to take their medication-which is supplied free to them and due to regular use of that medication, patients are capable of functioning normally-until they are released into the world-to live on welfare or disability cheques and either cannot afford to buy their needed medication or they shun their medication due to unpleasant side effects-which quickly brings on dangerous medical symptoms which often get them shot by police. Why blame police when it is inadequate supervision and lack of proper access to needed medication that is to blame? In addition. LIE-beral legislation now forbids a doctor to hospitalize a deranged person who has gone off their `meds`. Such a person must be allowed to deteriorate mentally until they are a demonstrated danger to themselves and others; and the burden of proof of such alleged danger is now so high that the patient is often shot by police before reaching the threshold for treatment. BLM Manifesto: A comprehensive list of demands designed to fully promote reverse discrimination and allow Black community spokespersons to launch a takeover of Cdn govt and act as the true power behind the democratic facade of elected LIE-beral officials who would be reduced to rubber stamping BLM policies as ordered by the BLM shadow govt..
BLM criticism of Police would be more easily tolerated if a minority within BLM were not manipulating the main group by using Black anger as a smoke screen designed to use reverse discrimination to hamper legitimate Police investigation into crimes committed by Black criminals. Making a choice to become a drug dealer or Pimp instead of flipping burgers at McDonald`s is certainly a career choice but being Black ought not to be a legal defense against arrest for drug and prostitution charges or assorted crimes of violence. BLM apparently does not wish to see any member of the Police Force-known to an older generation of Black activists as “The Occupying Army” interact with any member of the Black Community without first obtaining written permission from BLM. Such permission will spell out the details of permitted actions by police officers-the places where they may meet with Black people; the questions they may ask; the number of officers who may enter the community at any one time of day and etc. BLM seems to recognizes that there are sometimes divisions in the Black Community and BLM reserves the right to issue verbal orders to Police officers and govt officials at short notice. If new verbal orders contradict earlier written orders then all Police Officers must immediately stand down and return to their nearest station house and remain there until consensus within the Black Community is reached and new orders are issued by BLM. “Political scandal”-translation-the phrase has two meanings depending on who employs it. Used by Conservatives it refers to some LIE-beral action such as gross misconduct or outright theft of govt money-refer to news reports of ORNG, E-Health, gas plants, Thunder Bay biomass electrical generation mess, Mars building, Green Energy fiasco, Sudbury bribery scandal, to name some of the more recent scandals. When used by a LIE-beral the phrase `political scandal` refers to the Mike Duffy trial in which Duffy-a rogue Conservative senator grossly misused public money until his Conservative party masters heard of it. At that point he was ordered to pay back the money but he refused-so Conservative party PAID what he owed and then took him to court in an attempt to recover their costs. By contrast -LIE-berals think it is a scandal (and a very BAD political precedent) that a politician or political party would pay anything back to tax payers under any circumstances. In politics, not all things that are viewed as outrageous by voters can be classed as scandal. The LIE-beral senator MacDonald Harb has taken WAY MORE money than Mike Duffy ever did yet he has yet to be charged with anything or even asked to pay any of it back and LIE-berals have made it clear THEY bear no responsibility for his debts-and they see no scandal in this. Why walk when there are flights from the black prison sites daily? Interesting read. Several major flaws in their theory about the construction though. The major one being the ability to feed 1 million workers for a year. That alone would take at least 1/2 million workers just to raise and distribute the food. Seems your ex-wife brothers caught up with you, knocked you senseless, now you can't even post a coherent post..
Actually that IS NOT TRUE!!!!!!!!!!!!!!!!!!!!!!!!!!!!!!!!!!!!!!!!!!!!!! !!!!!!!!! The guy with the fake card CAN ONLY WORK if his boss is in on the scam and willing to cooperate!!!!!!!!!!!!!!!!!!!!!!!!!!!!!!!! That means only crooks hire illegals!!!!!!!!!!!!!!!!!!!! Toronto Star writer Michele Landsberg had some choice things to say once upon a time after discovering there was no need for her son to submit a T-4 for his part time job as somebody else had already done it FOR HIM!!!!!!!!!!!!!!!!!!!!!!!!!!!!!!!!!!!!!!!!! In our computer world where legit bosses pay by electronic fund transfer to your bank and remit income taxes, CPP, U.I and health levy regularly- anybody submitting payments based on a fake or stolen social insurance number is going to get found out pretty quickly!!!!!!!!!!!!!!!!!!! And our vaunted CRA agents have to do something with their day and since chasing money laundering gangster is complex, time consuming and sometimes potentially dangerous- the launderers ARE gangsters you know- our CRA generally prefers to harass ordinary Cdns!!!!!!!!!!!!!!!!!!!!!!!!!!! And who better to go after than some Cdn small biz that is thumbing its nose at the LIE-beral need for MORE GRAVY??????????? So as we have seen- simply being in possession of a fake social security card does not cover you!!!!!!!!!!!!!!!!!!!!!!!! !